100% Brand New and Made of high-grade quality acrylic material. 3. 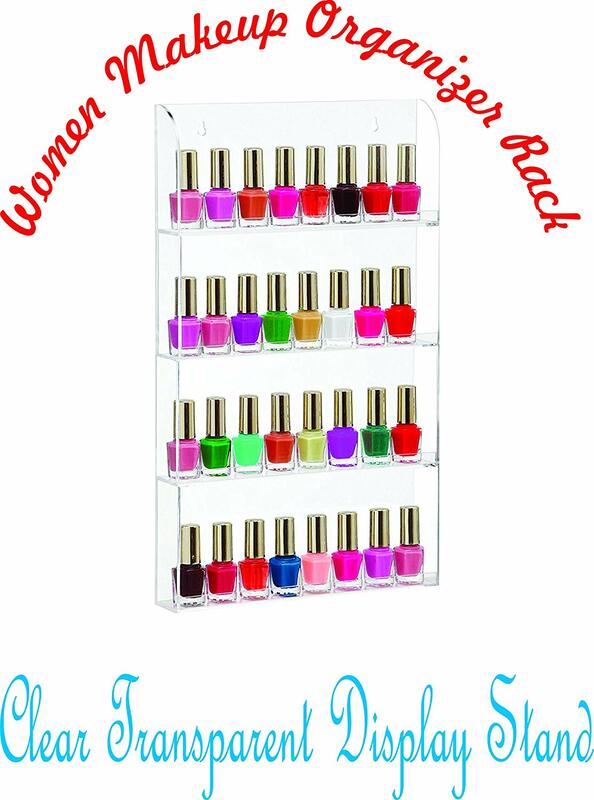 Organize and show off your cosmetics nail-polish, lipstick Versatile, nail polish and jewelries. 2. 4 tiers arranged in a stair-step design, each tier comes with a low railing to help keep the items in place.